Have you felt a mood-lift after eating a piece of chocolate or felt calm after eating curd rice? 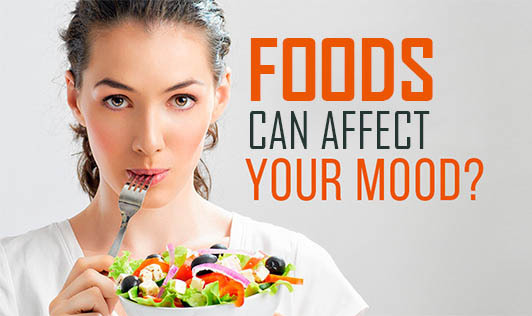 Foods that you eat can affect your moods. According to Ayurveda, sattvic foods like cereals, pulses, fruits, vegetables, honey calm the mind; rajasic foods like coffee, tea, chocolate, fish, eggs, salt, agitate the mind, increase activity and emotions; tamasic foods like leftovers, meats, alcohol, promote anger, greed, inertia and lethargy. High protein foods will aid in increasing alertness, an important requirement for everyone during the day. A low carbohydrate diet can make you depressed after a while because the serotonin levels drop. Complex carbohydrates are good stress busters as they help to increase serotonin levels. Even though caffeinated foods and sugary sweets are believed to be mood elevators, the ‘high’ is very short-lived. Sugar rapidly increases the blood glucose levels and lifts the mood but the insulin rush that follows soon after, rapidly brings down the blood glucose and the mood! Large meals in the afternoon reduce alertness and concentration. Bite into the right foods to maintain a good mood and ensure that your foods are nutritionally packed.